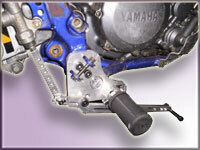 Lower right-hand direct extention flat track footrest conversion lowers the right-side foot peg down 2" and forward 1". 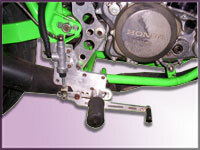 The relocation kit includes the linkage for the repositioning, mounting block and rubber foot peg. 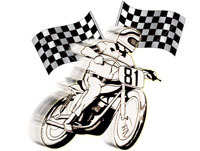 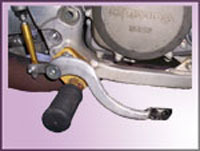 This lowered footpeg is designed for the bike original footpeg mounts to slide into two slots which are then again used for mounting the new lowered footpeg. 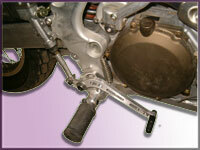 Lower right-hand direct extention flat track footrest conversion lowers the right-side foot peg down 2" and forward 1". 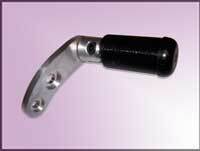 Works with Yamaha 2006 and newer YZF450. 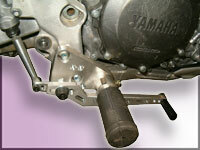 The relocation kit includes the linkage for the repositioning, mounting block and rubber foot peg. 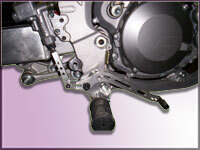 Lower right-hand footrest conversion lowers the right-side foot peg down 2" and forward 1". 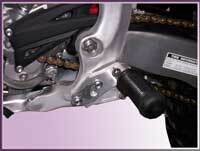 Works with Yamaha 2006 and newer YZF450. 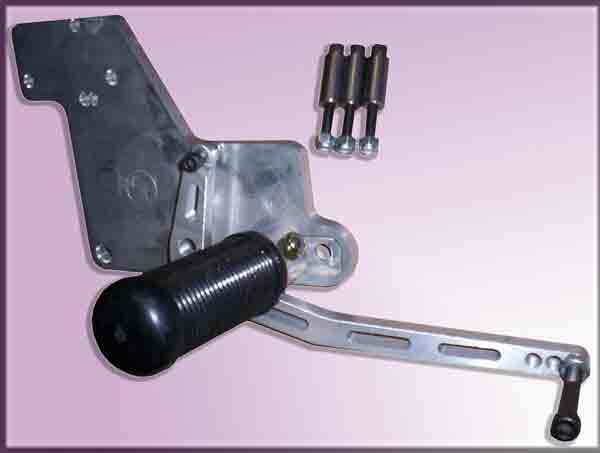 The relocation kit includes the linkage for the repositioning, multi-position mounting block, rubber foot peg and brake lever (required). 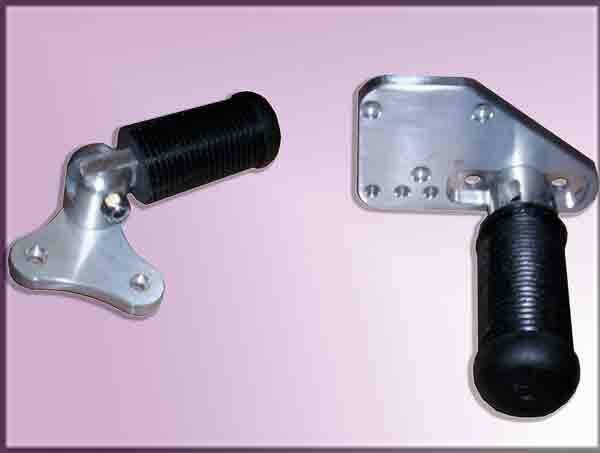 Right-side kit includes: footrest plate, folding footrest and brake lever. 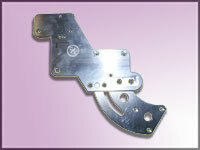 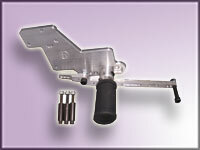 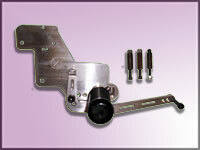 Left-side kit includes: footrest plate and folding footrest. 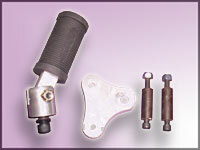 Complete set includes both Left and Right side kits. 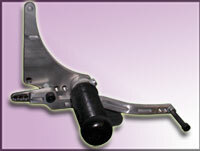 Have the best of both worlds! 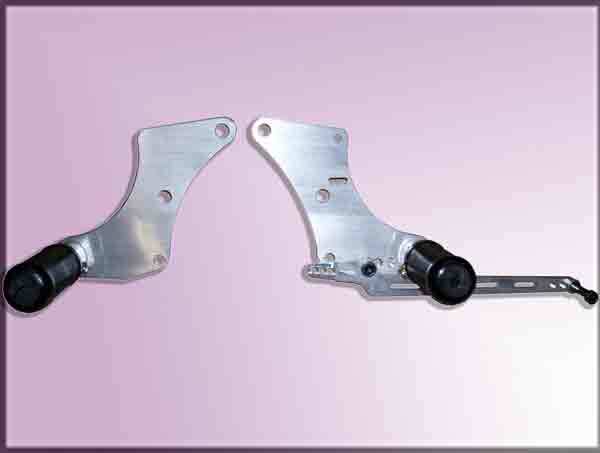 By attaching this pivoting plate to the regular foot rest place, you now have two foot peg positions: the lowered foot peg with a simple "rebolting" will pivot to a regular foot peg. 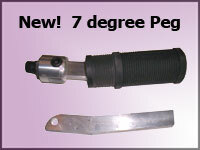 We have fabricated a new lowered footpeg that has a blade angle of 7 degrees and also is 1 1/2 inches longer. 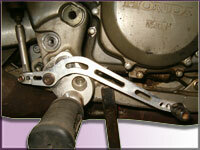 These longer blade pegs work with any of our Modern Bike Foot Peg in place of the standard foot pegs. 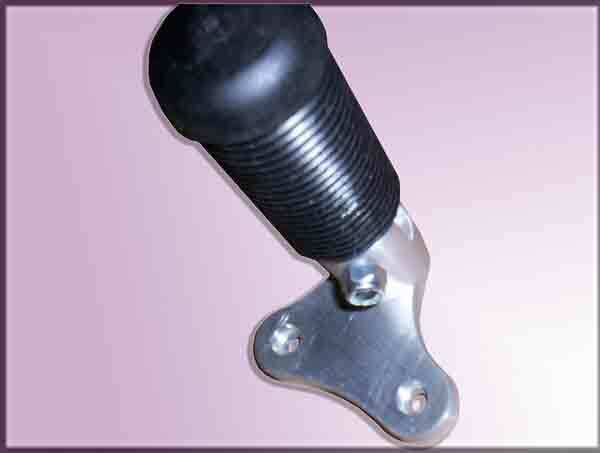 This peg also comes with the rubber. 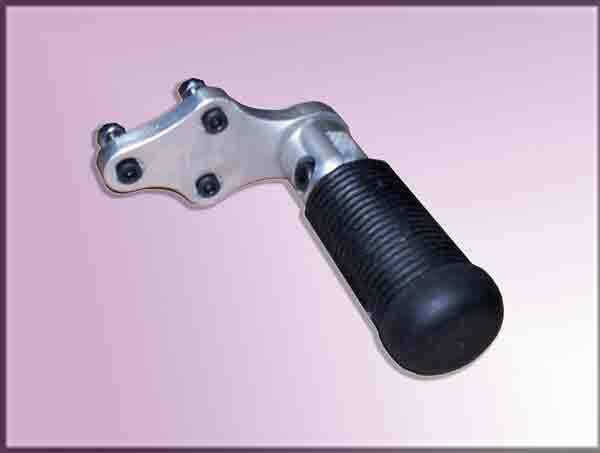 Left-Side Foot Peg for Modern Bikes: This kit comes with 2 steels spuds so you can weld this directly to your steel frame bike. 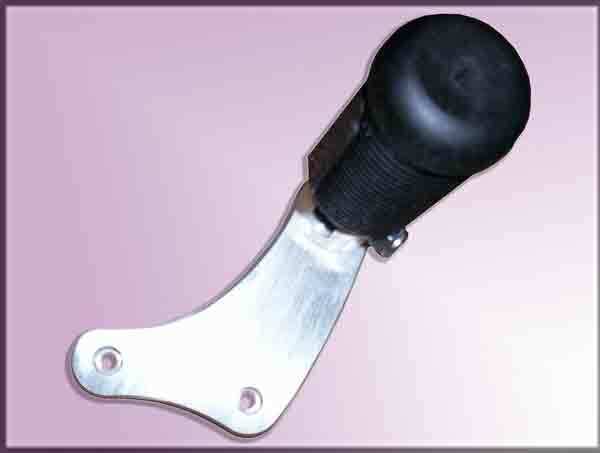 Left-Side Replacement Rubber Covered Foot Peg for Modern Bikes. 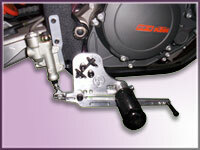 Works with Honda CRF, Yamaha YZF, Kawasaki KX and KTM. 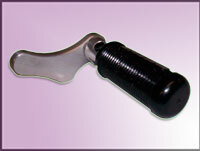 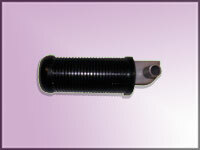 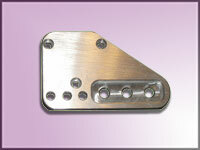 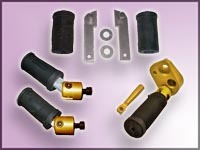 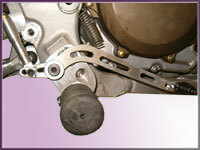 Right-side replacement foot pegs also available. 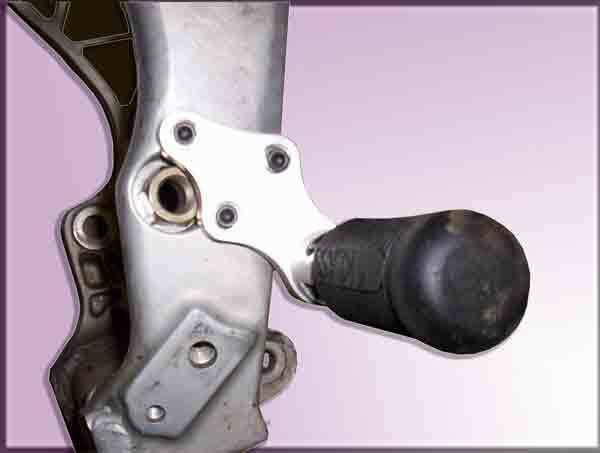 These are the various Foot Peg set available for either Flat Track style and vintage bikes. 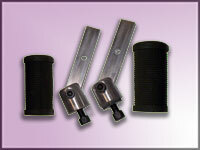 These sets include the rubber and both the left and right pegs. 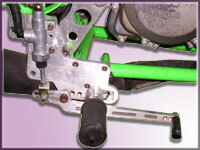 TOP PICTURE: The top set is the Steel Foot Pegs and rubbers. 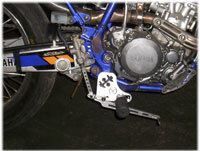 The foot pegs in the lower left corner are the modern bike standard pegs and the a Modern Bike lowered foot peg is pictured in the lower left corner of the picture. 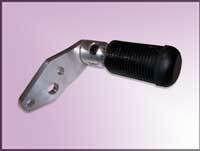 BOTTOM PICTURE: Flat Track aluminum foot pegs with a 3/8" mounting bolt. 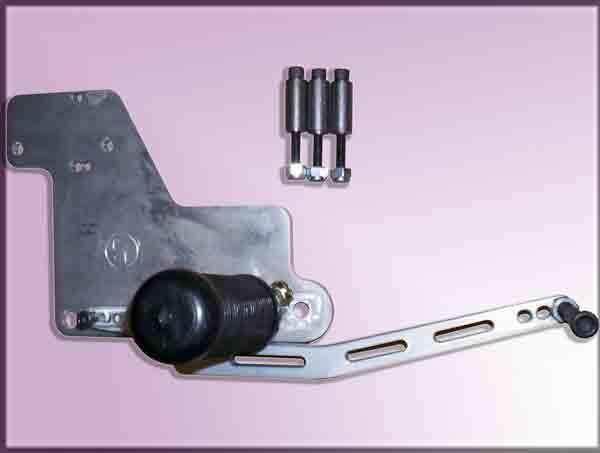 Left side footrest position 1" up & 1 1/2" Forward. 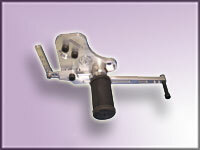 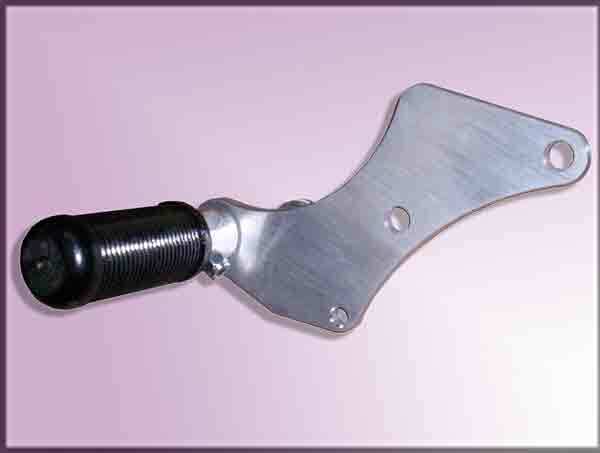 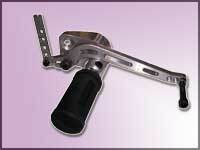 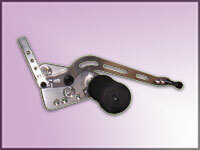 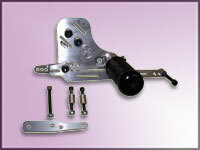 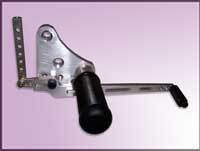 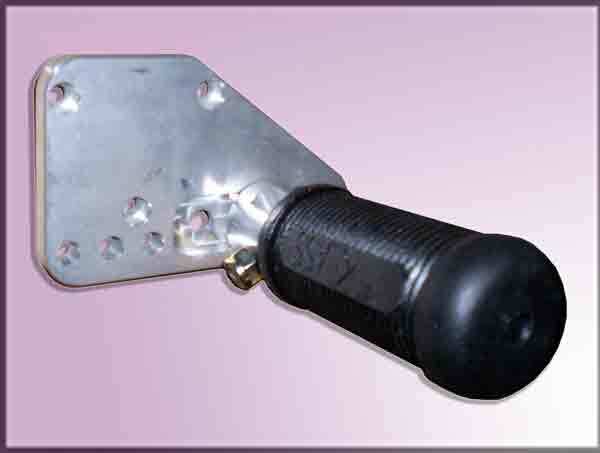 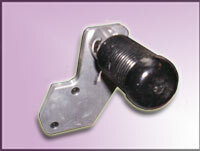 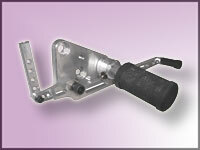 Pull Style Brake Assembly comes with the mounting bracket, brake lever and footpeg. 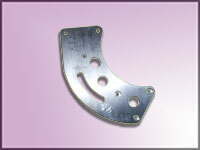 Available in either Gremica or Nissin styles. 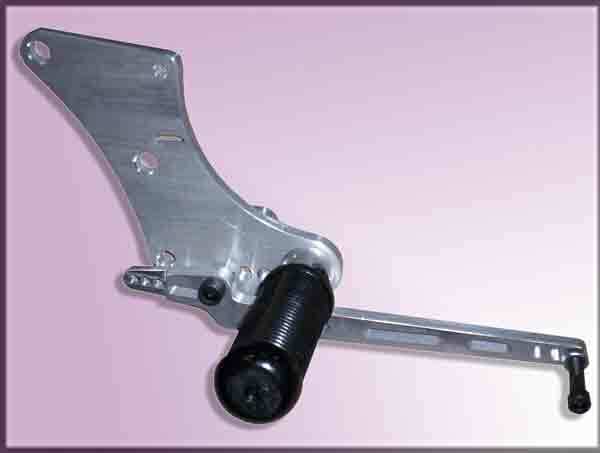 Push Style Brake Assembly comes with the mounting bracket (pre-drilled mount holes), brake lever and footpeg. 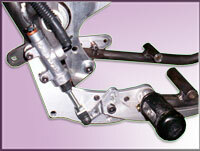 Mount Bracket pictured has mounting spuds that are welded onto the frame.